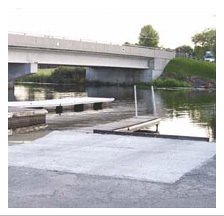 We are a small but very active family owned and operated business located in the beautiful town of South Lancaster, Ontario on the shores of the Raisin River. 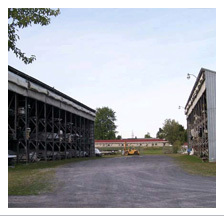 We are situated at the mouth of Lake St.Francis, one of the largest bodies of water in the St. Lawrence River system. This area embodies a great mixture of locals and cottager's, provincial & private parks, bountiful fishing of numerous species and endless days of family fun on the water. 2013 will mark our 20th year in the marine business, thanks to all our wonderful customers that we have had the pleasure of meeting and serving over the past 20 years. 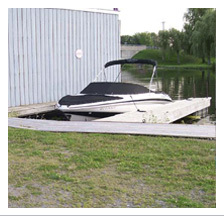 We have grown and have the highest quality marine products and services to offer in the industry today. Stop by, say hello, we're friendly and very passionate about all your boating needs, big or small we take care of them all. 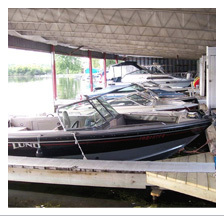 We offer boats and accessories from Tahoe, Tracker boats, Sun Tracker, Mercury Engines, EZ Loader, Heritage, Hoosier and more! 25 Years – Join Us to Celebrate! Raisin River Marine is proud to be a local sponsor for the Rebels! While quantities last! Call Sue for more info.